You’ll want to consider getting a pre-appraisal on your home to help determine the accurate value. This information can help you when it comes to setting the asking price for your property. This is a critical step towards success. Set your price too low and lose money. Set your price too high and it sits on the market. You’ll want a professional, qualified real estate agent working with you and on your behalf when it comes to gathering information about home value, setting the listing price, marketing your home, and working through any negotiations. You have two goals when you’re trying to sell your house. You want the property to bring in the biggest return possible on your investment, and you want to do it in as little amount of time as possible. These are not unreasonable goals. However, your best chance at achieving these goals is to be prepared and take the necessary steps towards success. Let’s take a look at how to sell your home fast. Another important step is staging your home. If you’re going to a party, you want to look your best. Think of staging your home as if you’re putting on its best dress for a night on the town. This step will help when it comes to getting the photographs needed to market your home effectively. You’ll also want to understand what a home warranty is and how it can help buyers make a decision to purchase your house. Of course, knowing which financing options you’ll accept is something to decide before offers are being placed. Fortunately, we’re here to help guide you through the entire home selling process. We want you to be informed and feel confident in any decisions you’ll need to make along the way. Take a look at the different steps that can help your home sell as quickly as possible. Then, give us a call to discuss how we can help sell your home. Do I need a pre-appraisal to sell a house? How can I stage my home to sell? Where can I find an agent to sell my house? How do I price my house to sell? Is marketing my house important when selling? Should I offer a home warranty to buyers? What types of financing should I accept from buyers? How do I negotiate offers on my house? When you accept an offer on your home, the lender will schedule an appraisal to work on their behalf to bring them a number showing the value of your property. This appraisal is done on behalf of the lender and the buyer. The appraisal protects them from paying a sum of money that is more than the value of the home. Wouldn’t it be nice to know ahead of time what an appraiser would look at when inspecting your property? It’s a good idea to secure a pre-appraisal to protect your own interests before placing your house on the market. 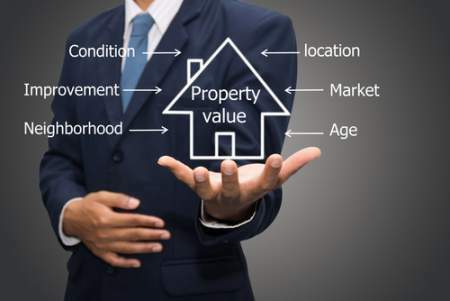 This listing appraisal, or pre-appraisal, can alert you to issues that may lower the value of your home. This valuable information gives you an opportunity to make repairs or renovations that help increase value. Keep in mind that an appraiser may calculate the value of your property on a scale that uses increments of $500. 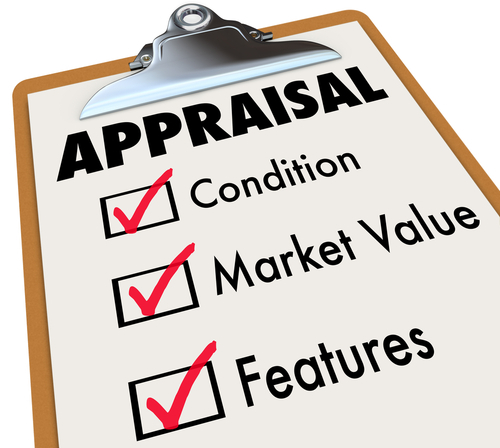 For this reason, a few small issues that you wouldn’t consider important could end up knocking a significant amount off your appraisal amount. Getting these taken care of can save you time, money, and embarrassment during the official appraisal. Start with the outside of your home when you begin the staging process. You want to catch the attention of potential buyers and make them so intrigued that they can’t wait to see the inside. Begin with making sure your lawn is properly taken care of and all flower bedding areas are refreshed with new bedding. Add a pop of color with new flowers or a pot of colorful flowers near the entrance. Remove all toys and additional decorations from your lawn. Power wash your home, driveway, and other surfaces. Place outdoor furniture is appealing conversational settings. Consider placing a fresh coat of paint on your front door that is bright and inviting. Once inside, you’ll want to pay special attention to the kitchen. Kitchens can sell homes because this is one room where people spend a lot of time together. If you have a smaller kitchen, remove large dining tables and opt for a smaller table that is sitting on a focus rug. Make sure the room gets as much natural lighting as possible and enhance that will other light sources if needed. Organize all shelves and pantry areas. This attention to detail gives the impression that you take care of your home. Remove themed decoration, personal photos, and refrigerator magnets. In the bathroom, remove all large hampers and trash cans. Put away clutter on and around the sink area. Replace the shower curtains, bath mats, and toilet seats. In this room, and the rest of your house, try to keep the color scheme as neutral as possible and use pops of color to create interest. You want the property to appeal to a broad range of home buyers. In the living room or den, place furniture in conversational settings that are away from the walls. Remove oversized pieces that will make the room seem smaller. Suggested: Click here for more helpful tips on staging your home to sell. I’m so glad you asked that question! You’ve come to the right place for finding a real estate agent to help sell your property. As your real estate agent, I focus on making sure you have a positive experience and a successful transaction. The selling process doesn’t have to be stressful for you. I’ll work on your behalf throughout the entire selling process to makes things as easy as possible. I’m dedicated to communicating at a high level. You’ll never be in the dark when it comes to understanding the process and what’s happening at each step. My experience and knowledge can help when it comes to setting your asking price, marketing your listing, staging your home, and negotiating with buyers. How much do you know about the area? How often have you had to lower the asking price to sell a house? Do you have any references or reviews I can take a look at? There are two different amounts that play a significant role in the sale of your house. The asking price, or listing price, is the amount of money you hope to receive from the sale of the property. This is the amount of money that buyers will see when they check your listing. The second amount is the selling price. This is the amount of money that a buyer is willing to pay for your house. This number may be higher or lower than your asking price. Ideally, you want the amount to be equal to or higher than your listing price. For this reason, it’s important to set the asking price correctly from the start. Start by getting a general idea of what your home is worth. You can do this by using our home valuation calculator. Input some basic information about your property, and you’ll get an estimate delivered within minutes. Give me a call to discuss your estimation, and I’ll provide a more comprehensive report that uses additional factors to give a more accurate home value estimation. I’ll look at the current market trends, other homes being sold in the area, and any upgrades you’ve made to the property. Once we have a good idea of the value of your home, we’ll discuss a possible pre-appraisal and how that could help with setting the asking price. Once you have all the information needed, you’ll be able to sit down and confidently create an asking price that catches the attention of potential buyers. The days of simply placing a sign in your front yard and waiting for people to call are gone. Potential buyers are technologically savvy and use the internet to do most of the footwork when it comes to searching for homes. So, it’s important to make sure that your home’s listing is reaching those buyers. That’s where I come in and help shine a spotlight on your property. Photographs are more important than ever when it comes to marketing. Most potential buyers are going to see your home through a photograph before they decide whether to look further. You have that one chance to make a great impression and peek their interest. You want photographs that show your property in the best light possible. There may be thousands of homes for sale in the area that is in direct competition with yours. How do you stand out from the crowd? Again, this is where I come in! I am experienced in online marketing, and I will make sure your listing is receiving the attention it deserves through online listing posts, social media advertising, and other networking avenues. Though you’ve tried to ensure that a buyer is receiving the best from your house, choosing to purchase your property is still a daunting decision for a potential buyer to make. There’s always that fear that something could be lurking beneath the service just waiting for the contract to be signed before making an appearance. This fear may cause a buyer to be hesitant about placing an offer. In order to help provide a bit of comfort to potential buyers, you may want to consider offering a home warranty. This home warranty will be an investment of your part, but if it helps the buyer feel more at ease in placing an offer, it could pay off in the long run. A home warranty generally costs anywhere from $300 to $600, depending on terms. This warranty kicks in if something goes wrong within the first year that the new owner has the house. Warranties cover things like central air systems, plumbing, electrical, appliance, and roof issues. You may want to give potential buyers as many opportunities as possible when securing a home mortgage loan to purchase your property. All loans are not created equally, and you’ll want to understand the basics of each before you decide. A VA Loan is offered by the Department of Veterans Affairs. These loans are only given to military personnel who are active or retired. The loans generally come with low or no down payments. An FHA loan is secured through the Federal Housing Authority. These loans are meant to help lower-income individuals purchase a home. The down payments are lower than with a conventional loan. A traditional mortgage loan requires a substantial down payment and is secured through a bank, credit union, or mortgage lender. If you’ve priced your home correctly, you may receive more than one offer. This is common when there are fewer homes on the market than there are buyers. When this happens, buyers are in strong competition to win the bidding war for your house. This competition gives you a bit of leverage. So, you’ll want to seriously consider all offers before choosing which to accept. Fortunately, we are here to help you through that part of the selling process. We receive all offers and alert you when they arrive. At this time, you can choose to accept the offer, decline the offer, or send a counter offer. If you want to send a counter offer, we’ll visit the negotiation table with the buyer on your behalf. You won’t have to deal with the stress of this situation, and we’ll use our skills and experience when dealing with the new offer. Once the offer is negotiated, we’ll come back with the new terms. Again, you’ll have a chance to accept, refuse, or counter. In the end, we want you to feel confident in the offer you accept.